Running can be one of the best sports, but you need the perfect pair of running shoes to be able to beat your records and make it as enjoyable as possible. Not only can it completely de-stress you, but it can also have many benefits for your health as well. Before you start running, you will definitely need a good pair of running shoes, because if you have a pair that might feel uncomfortable, then it could actually cause you a lot of problems. For instance, it may cause you to have blisters, and everyone knows how uncomfortable these can be. View the Best Adidas Running Shoes, Below. What Makes Adidas Different From Other Brands? How to Clean Adidas Running Shoes? How Often Should you Change Adidas Running Shoes? Therefore we’ve put together a list of all of the best Adidas running shoes. Adidas is known to have some of the best running shoes worldwide, as they are able to deliver quality and comfort to your feet. These shoes are made from the best quality, and they have a full grain leather upper. This is located where the laces on the shoes are, so it is able to securely keep them in place, which means the laces won’t come undone easily. They have an insole that is made from die cut EVA, which is a very soft type of material and is similar to memory foam. Not only this, but the insole also provides you with lightweight comfort too. 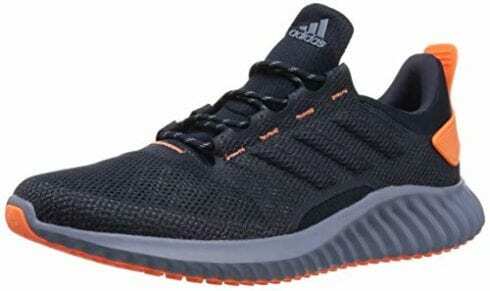 The sole of this Adidas running shoe is made from gum rubber, which makes it very sturdy and reliable. 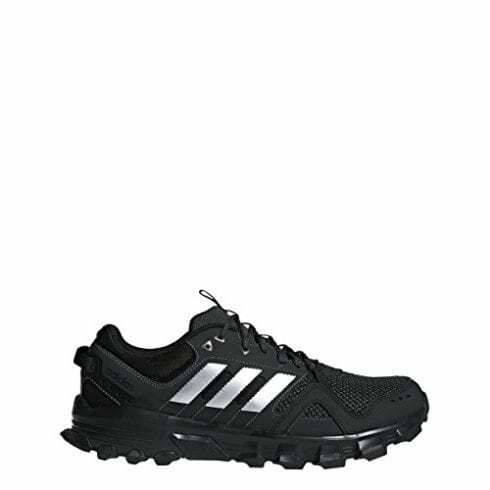 We liked these Adidas running shoes because they are able to provide you with a lot of comfort when you’re running. This type of Adidas running shoe is very fashionable to wear right now, and the best thing is they come in a variety of colors so you can wear a range of them with your different running outfits. These running shoes actually have an extraordinary grip on the rubber sole, which makes them suitable for wet and dry conditions. The sole is also made from a stretch web type of rubber, which makes them very flexible to run in. They are also lace up, so they will never fall off of your feet either, plus, they are suitable for all weather conditions. We liked this product because they are very suitable to run in any types of conditions and they were very light on your feet. If you're looking for a pair of Adidas running shoes that you can purchase in a whole range of different colors, then this is perfect, because they are available in a total of 12 different shades. They are suitable for all types of running and cross training as well. They have a lace up type of closure, so they will always stay on your feet, and if you need to tighten them, then you can do this too. They have a heel height of 1.5 inches, which makes them a lot easier to run in, as it is able to give your feet something to bounce off of with every step. 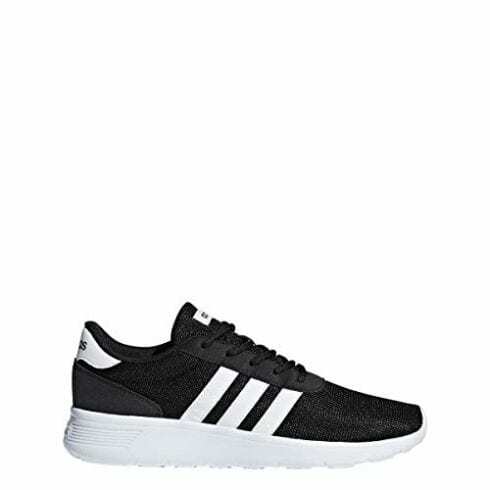 We liked these Adidas running shoes because the 1.5 heel height really makes a difference when you’re running and it can really increase your speed. These Adidas running shoes will really stand out in a crowd full of runners because the design of them is so awesome. They are really a very trendy type of design that is very in right now. The grip on the soles of these running shoes are also outstanding, this actually makes them perfect if you want to use them on a wet day because they will certainly stop you from falling over. They are a lace up style of shoe so you can tighten them up if you need too. They are also extremely comfortable to wear, and it will feel as if you're running on cushions. We liked this product because the outside material is also made from a mesh fabric, which allows your feet to be able to breathe. If you’re looking for Adidas running shoes that are going to give you great foot health benefits while you run then these are perfect for you! This is because they have extreme cushioning in the inner part of the shoe, which actually allows your feet to mold to it; therefore no more blisters or sores. The outside of the shoe is also made from a mesh material that allows your feet to breathe when you run so it will stop moisture from developing inside the shoe and prevent things like athletes feet. Not only this, but they are made from very strong and sturdy materials that will last you a long time. We liked these Adidas running shoes because they have some great health benefits and will last you a very long time. These Adidas running shoes may look a little different to some of the others on the list, but they have some really great features. They actually have a one-piece knitted upper, which is able to provide you with extra comfort around your ankles, plus, it also prevents any rainwater from being able to enter the running shoe. Not only this but, it also has a dual density 3D heel counter, which is able to provide your heel with support, while giving you freedom and still being able to easily move your heel and Achilles. They also have a heel height of 9mm, which will really be able to help you boost your running experience. We liked this product because these shoes are able to provide additional support to your feet when you’re running. 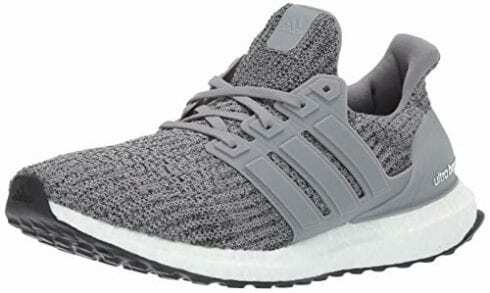 If you’re looking for a pair of Adidas running shoes that have a little bit more color to them compared to the average Adidas running shoes, then these are ideal. They have a very modern design that is very appealing to your eyes. The outside of the shoe is made from synthetic fabric that is breathable so there won't be any trapped moisture between your shoe and your foot. It has a gum rubber sole that has plenty of grip on the bottom to stop you from ever falling over, which also makes them suitable for very wet weather conditions. 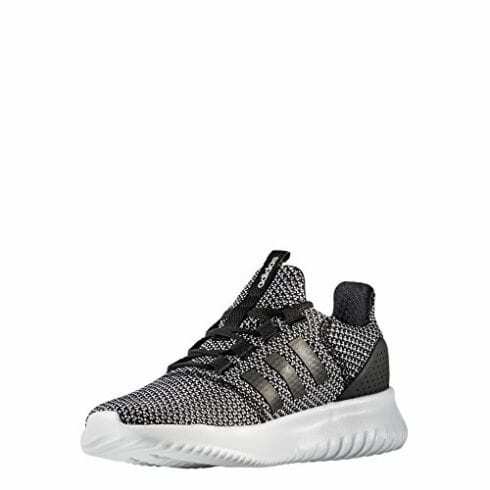 We liked these Adidas running shoes because the design of them is so modern and they are very fashionable to wear, plus, they can easily match any of your outfits. 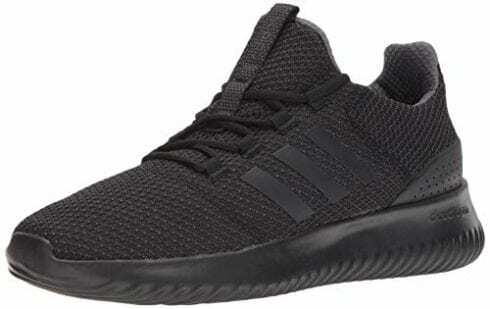 These Adidas running shoes are extremely comfortable, and this is because they are actually fitted with cloudfoam cushioning inside the shoe. This material is able to mold to the exact shape of your foot so you won't have to worry about getting any blisters or sores when you go for a run. They are also very flexible on your feet, and this makes them feel even more lightweight than they already are. Another amazing feature about these running shoes is that you can also purchase them in a wider version, so they are able to fit any size feet. We liked this product because is it so flexible on your feet when you’re running, and you will barely feel as if you've got them on. If you like to run for long distances, then these Adidas running shoes will be perfect for you. They have bounce cushioning inside the shoe, which will enhance your comfort and flexibility. They also have a sole that is able to offer you the ultimate high-wear durability, and they won’t run down at a very quick rate. These shoes are also very flexible, and you won't feel as if your foot is stiff when you're running. 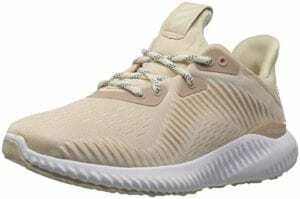 It has another very awesome feature, and that's the fact that it has climacool, which provides your feet with 360-degree cooling, so they won’t be able to get hot and sweaty. We liked these Adidas running shoes because they have a lot of benefits, which includes the fact that they can keep your feet cool. 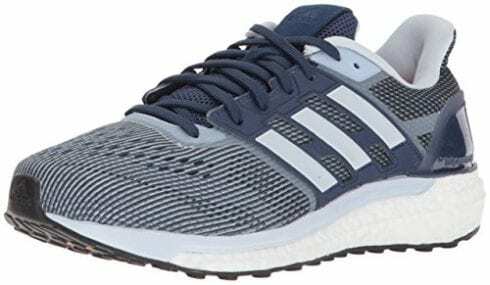 Every single runner will need a pair of these Adidas running shoes because they are such a classic shoe and everyone will need a pair in their collection. They come in two different colors, and they are able to suit the majority of your running outfits. They have a gum rubber sole that has plenty of grip at the bottom of it. Not only this, but they also have laces, so it’s very difficult for them to come off of your feet and if you need to tighten them up then you can easily do so. We liked this product because we found them so easy to run in when we tested them, and they were very light on your feet. 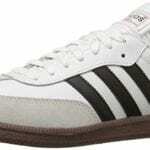 There are a whole variety of different Adidas shoes in the list above, and it can be quite confusing over which ones are the best ones for you to buy. We know how much of a dilemma it will be able to put you in. 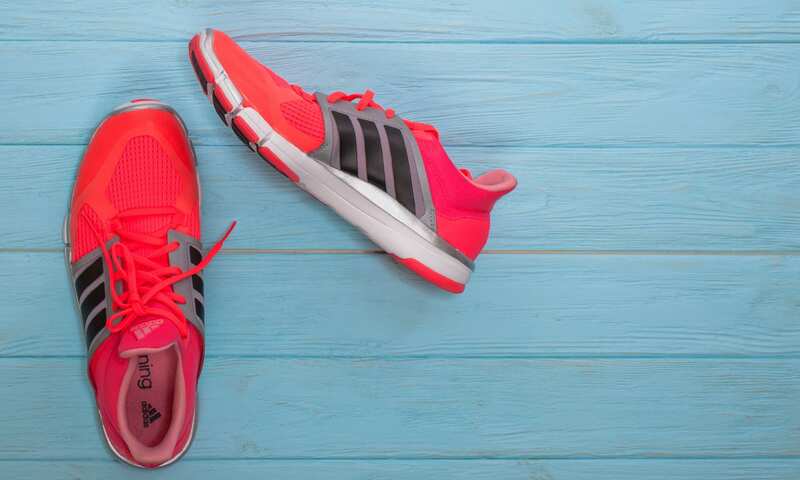 This is why we’ve discussed some of the factors that you will need to look out for before you do consider purchasing a pair of Adidas running shoes. This is a factor that you’re really going to need to look at because what they are made from on the outside of the shoe will indicate how well they’re going to cope with wet weather. If the Adidas running shoe is made from a fabric or synthetic type of material, then this may not be so great when it rains, because the fabric is likely to soak up the rain and it could leave you with wet feet. The only way this specific material won’t get affected by the rain is if it has some type of additional feature. If the shoe is made from leather or something similar, then this should be suitable in the rain, and it won’t allow your feet to get wet. The inner material on an Adidas running shoe is just as important as what the outside of the shoe is made from. Ideally, you’re going to want the inside material to be made from something like EVA or memory foam. There are a whole load of other materials that are also similar to this, but they might just have a different name. The reason these materials are best is that they are able to shape the running shoe to the shape of your foot, which will mean they will be an exact perfect fit. Therefore this won’t cause your feet to rub on the side of the shoe, and it should dramatically reduce the risk of blisters and prevent them from ever occurring. Therefore this is a factor that you really need to read in to, as it should say what it is made from in the description of the product. The design is a very important factor because the Adidas running shoe would have been designed in a specific way that is suitable for running. Therefore if you’re planning on using the shoe for running, it will need to have been specifically designed for this. This is because it can offer you a whole load of benefits, as well as increasing your running performance. If you purchase a shoe that is designed for a different sport, then you might not be able to excel as much when you try running with them on. 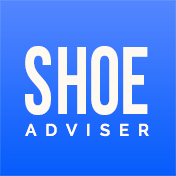 The sole is the main reason why you won’t slip over everywhere, so it’s very important that it has a strong and sturdy grip on a pair of running shoes. This is because this is the feature that will be keeping you upright when you run and not on the ground. In the description, it should say what type of grip the shoe has, and it’s worth looking at the photos of the sole as well. 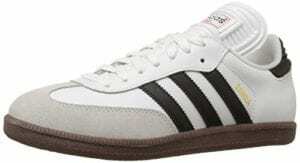 Adidas has been around for a very long time, in fact, the company started producing trainers in 1948. They’re a German based agency, and they actually tend to focus on trainers that are for soccer players and tennis player. However, they also produce a whole load of other sports shoes as well. Other brands are just as good as Adidas, but they have been making sports shoes a little bit longer than some of their competitors, which makes them a little more experienced. Not only this, but they are able to produce very high-quality products that are healthy for your feet to wear and can give you great benefits. Each Adidas running shoe may differ as to how you should clean them. This is because they would have been made from different materials so there will be different washing instructions for each pair of shoes. If they are made from leather or a similar type of material, then the best way to clean them is with a damp cloth or a wet wipe. This is because this will easily wipe any mud away if you want to wash the inside of them and if they have leather on the outside of the shoe then it’s best to hand wash them gently in the sink with warm soapy water. Another way that you can clean the inside of this specific shoe is by using an antibacterial spray that is guaranteed to kill germs. If your Adidas running shoe is made from a type of synthetic fabric, then you can probably wash these in the washing machine. Although, it is best that you check to see if you can before you do this because you definitely don’t want to clean them this way if it says they are not machine washable on them. If you can’t wash them in a washing machine, then another way you can wash them is by hand in warm soapy water, and then leave them to dry naturally on a towel. This all depends on how many times you use your Adidas running shoes per week, because obviously the more that you wear them, the more quickly you’re going to want to change them. This is because they would have been worn a lot more. So here’s a brief guide about how many times a year you should get new running shoes. If you run roughly three miles five time per week, then you’re probably going to want to change your Adidas running shoes around every five to six months. Another way to calculate it is that they should ideally be replaced once you have run around 300 to 500 miles in them. The reason why they need to be replaced is that they won’t be able to provide you with as many benefits if they’re a bit worn out. Therefore they won’t be up to the standard they once were, and this could impact your foot health and the rest of your body’s health as well. 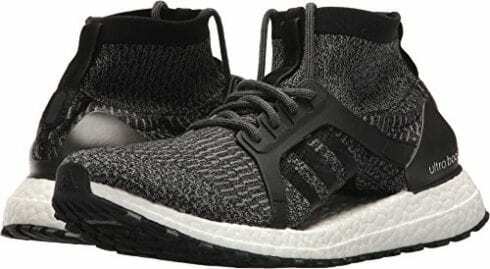 There is a whole range of Adidas running shoes all over the internet, and you will probably see a whole variety of them in stores too when you go into them. When you’re looking at all of them, head on it can be very confusing over which ones will be the most ideal for you. There is one thing that you should really do though, and that is try them on before you purchase them, or if you buy them online wear them around the house a little before you wear them outside. This is because you need to check to see if they will fit you properly, as you don’t want them to cause you any pain on your feet. 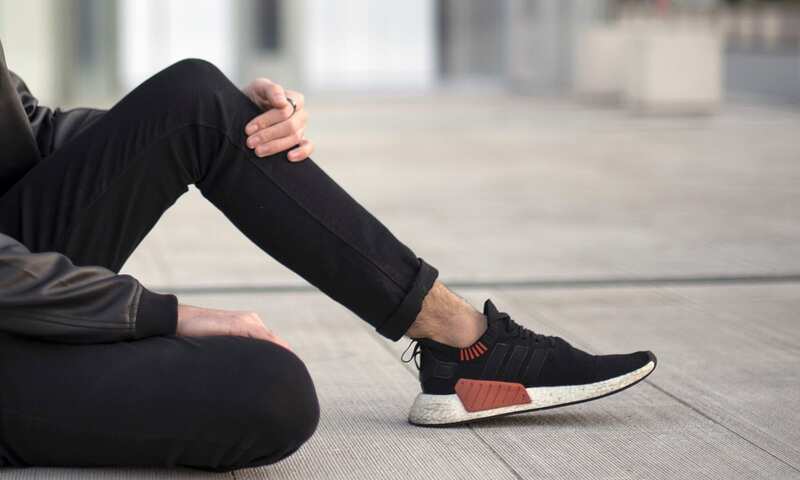 There are also many other factors that you will need to look out for before you do purchase any Adidas running shoes, and we’ve discussed these in our buyer’s guide, so remember to read it before you purchase them. If you want to make your running shoes last longer, then it’s best to only wear them for running and not do other chores around the neighborhood in them. Running shoes have been purposely made smaller compared to any ordinary shoes. When you’re running you will also need extra space for your toes so they can move more; therefore don’t be shocked if you end up having to purchase the next size up. We hope you enjoyed our article on "10 Best Adidas Running Shoes in 2019", if so, please share and rate it.